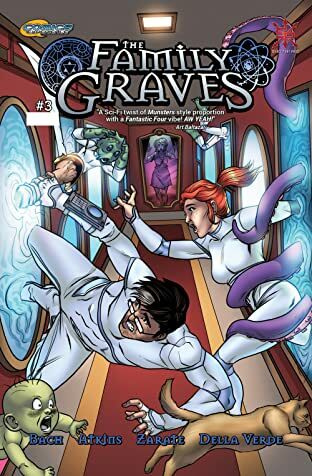 The Family Graves is The Incredibles meets classic movie monsters-a four-issue mini-series blending monsters, science fiction, and family drama into an epic supernatural adventure! Phil Graves is an alchemical engineer who has recently turned into an unpredictably shifting werewolf. 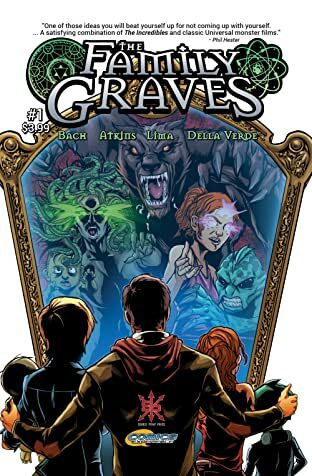 Together with his dysfunctional, mismatched family of monsters, he must race across dimensions collecting a set of magical mirrors in order to stop a chronal vampire from devouring the space-time continuum and destroying reality. But can the family hold together even as reality falls apart? 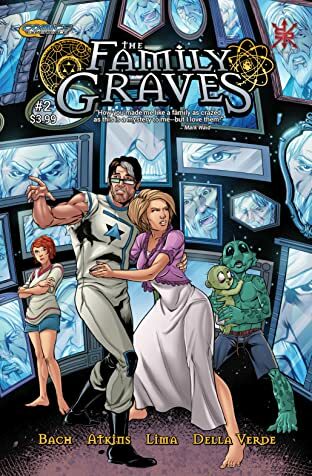 The Family Graves is for anyone who loves monsters, family, and unabashedly fun comics. 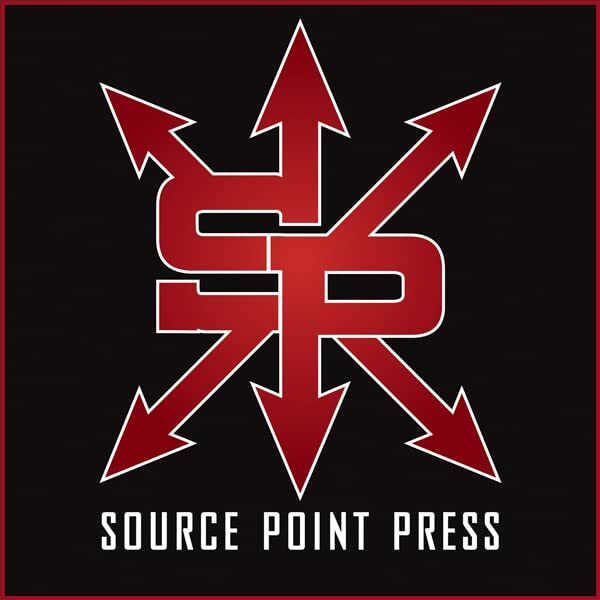 Although spooky, it's more heroic than horror. 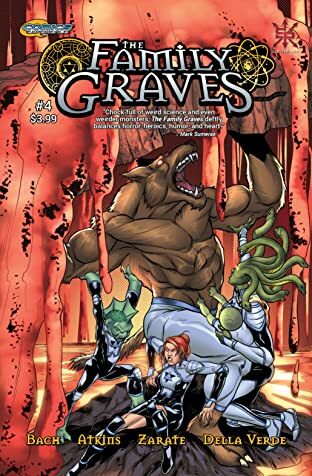 At its heart, The Family Graves is a family drama, really-primarily about fathers and sons-dressed up in the teeth and claws of a monster adventure story. There's yelling and hugging, tears and laughs, but also grand action with these all-too-human monsters. This fantastic dimension-hopping super team of monsters is made up of Phil (dad, werewolf), Bjanka (mom/gorgon), Nori (teenage daughter, siren), Lum (nine-year-old fish-boy), and Gordo (adorable baby zombie with an unquenchable hunger for brains!). Squaring off against a powerful vampire, they experience danger and discovery and uncover family secrets as they race through every mirror portal. 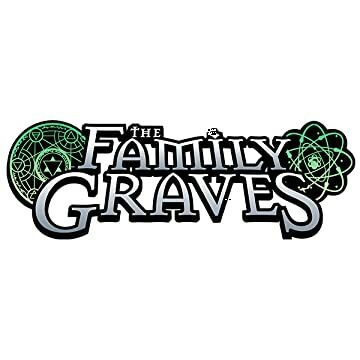 Dig The Family Graves and climb in for an adventure-packed monster-size great time!